If you're not looking for it, you'll miss it. It's the North End's hidden gem, and it's tucked away just off of Hanover Street. 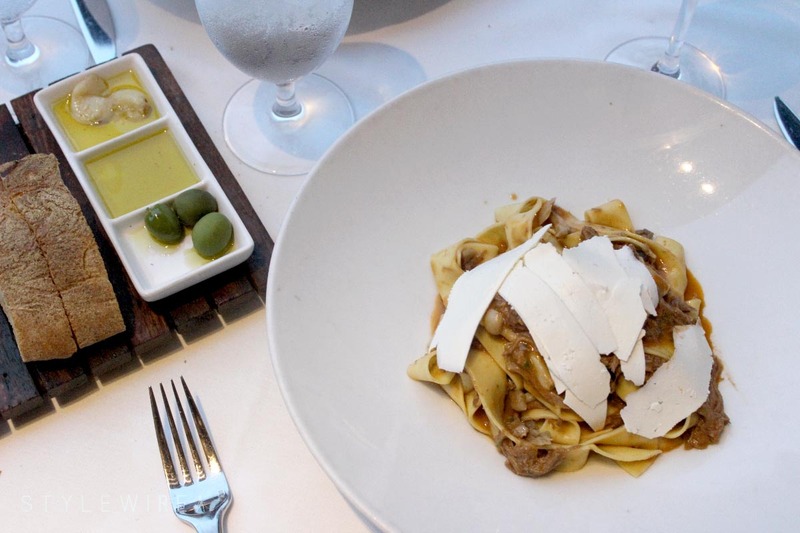 An upscale version of your typical home-style North End Italian restaurant, Mare Oyster Bar features a surprisingly large dining and patio area, outdoor fire pits, and a full bar. From the moment I saw the menu at Mare Oyster Bar it was like I had died and gone to seafood heaven; trio of crudos, a raw bar, two kinds of tartare, and octopus galore. It was difficult not to order everything on the menu. 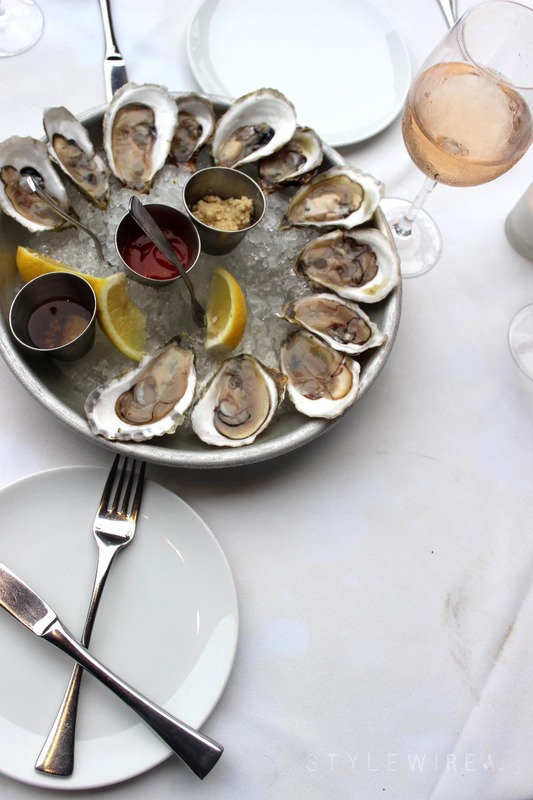 We started with a dozen oysters from various New England locales, the Grilled Octopus appetizer, and I of course, indulged in a glass of rosé. The oysters were fresh and not too briny and I quickly consumed my half of the dozen so I could try the grilled octopus. It arrived beautifully plated with a nice black char over pickled cauliflower and greens. 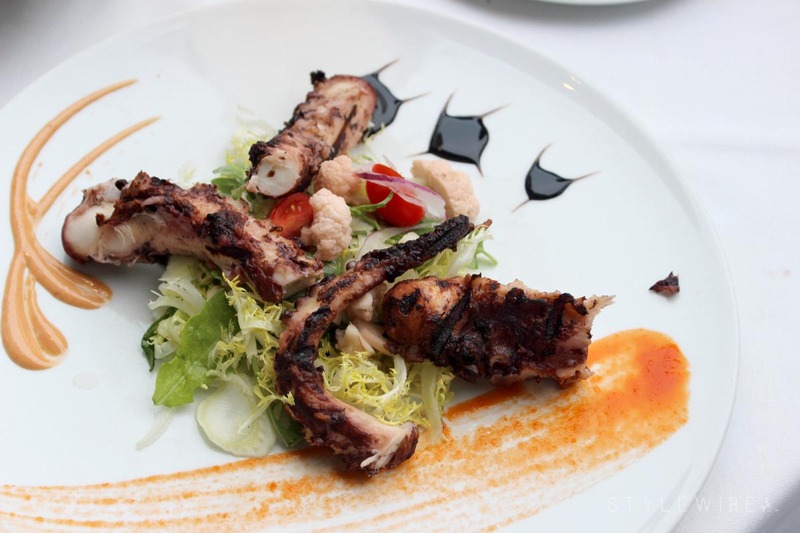 I have had some excellent octopus this summer and this was among the best and most flavorful! 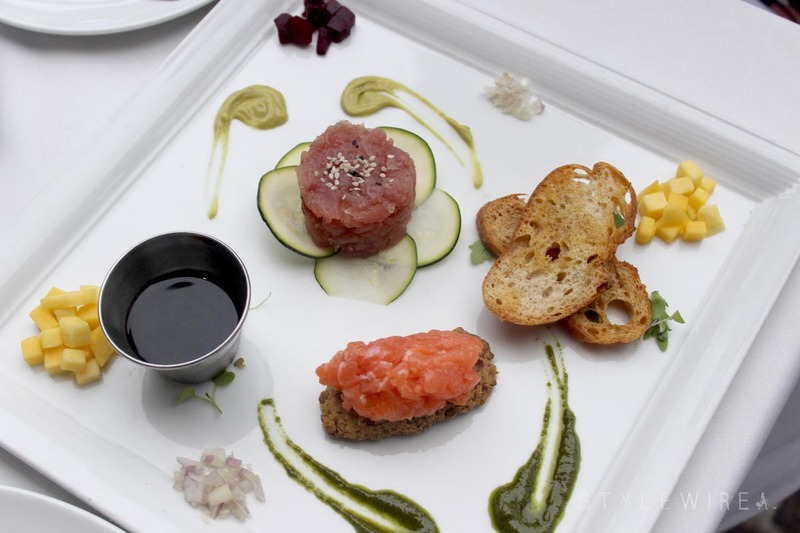 Shortly after, the chef sent over two popular samplings from their menu: Fried Zucchini Flowers and a sampling of their Tuna and Salmon Tartares. 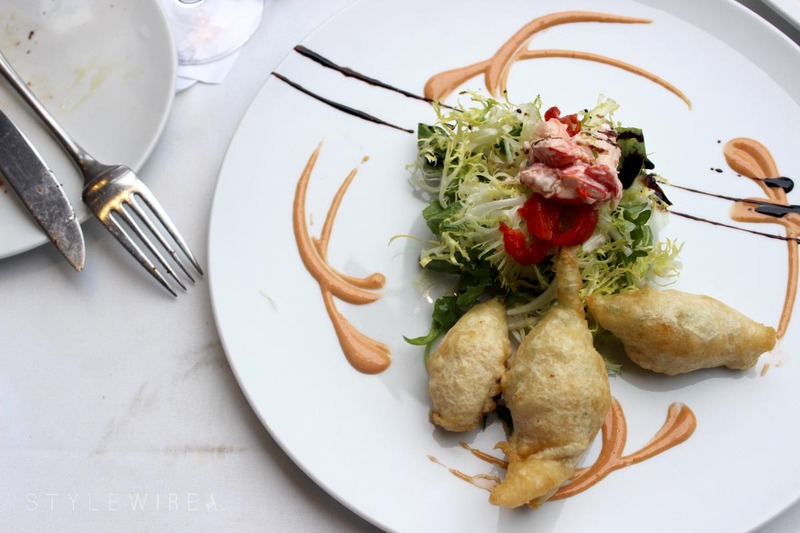 The fried zucchini flowers were fried to perfection and served alongside a fresh lobster and greens salad. The tartares were light and fresh, and served with beets, mango, pesto, and crostini. I think the unusual complements really made these raw treats unique. For dessert, we elected to linger at our table on the patio with a selection of Italian cookies and coffee. A perfect way to end such a lovely evening. It was a delicious meal, a great date night spot, and by far one of the best seafood experiences I've had in Boston. I was provided a complimentary meal for review and promotional purposes. All content and opinions expressed are my own. Thanks for supporting those who support Style-Wire.com!